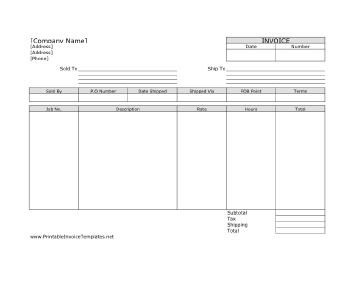 A printable invoice for use by a consultant, independent contractor, or freelancer who sells products. It has room for shipping information, terms, and more. It is designed in landscape orientation and does not have lines. It is available in PDF, DOC, or XLS (spreadsheet) format.